We aim to provide a professional, compassionate, high quality veterinary service to the community of Duhallow and beyond. Most farm animal consultations are done on farm in the animal’s normal environment where the housing, feeding and history can be best assessed. For more than 30 years the vets of Millstreet Veterinary Group have been providing a comprehensive professional veterinary service in Millstreet and the surrounding area. 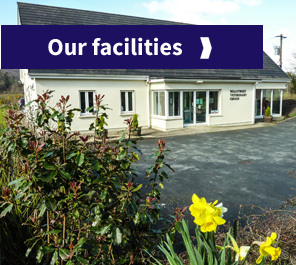 Operating from our new premises in Millstreet town we offer a full range of services for farm and companion animals. This includes 24 hour veterinary care for livestock and companion animals.